If there is one piece of advice I came to late in my career that I value it is this… the role of comms is sometimes to be the bit of grit in the oyster. It was Paul Willis of Leeds Metropolitan University who I first hear use the phrase. My take on it is that sometimes, the role of the comms person is to politely stand your ground and to challenge and to point out where things won’t work. The chief exec of the water company blamed for water shortage taking questions with a clean bottle of water, British Gas staging a Twitter Q&A on the day of a price hike or senior officer hellbent on back of bus ads… because that’s the way they’ve always done it. I was reminded of the need for this a short while back in a comms planning workshop where one attendee mentioned the pressure she was under to come up with evaluation weeks after the launch of a campaign to encourage people to sign-up to volunteer for a specific task. “It’s really difficult,” she said. “I’m getting pressure to show if the campaign is a success but we know it takes six months for it to work. Of course, in an ideal world that senior person would immediately see the folly of asking how many cars the Forth Bridge had carried after just a week into its construction. But life is not like that. So, if tact and diplomacy don’t work, sometimes your role as a comms person is to be the person to draw a line in the sand and point out where something, in your professional opinion, doesn’t work. When I worked as part of a comms team I’d often find it useful instead of directly rubbishing an idea directly just spelling out the logical sequence of events that decision would bring. 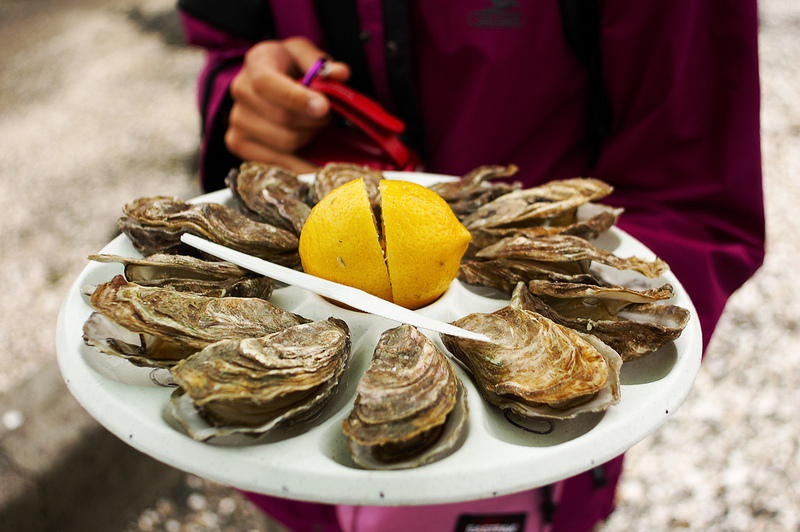 Be professional, be polite but never be afraid be the grit in the oyster. It will almost always be the harder path but if you take it you will almost always win respect. Involve your boss if needs be. Or their boss. If you don’t are you sure you aren’t just being a glorified shorthand typist? We’re told local government should be more like the private sector. If that means charging £20,000 to make a change to a Government website then I’d rather not, thanks. This week the gov.uk website, built in-house by geeks using open source (ie free) software was launched. 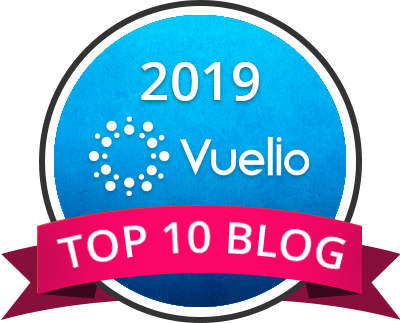 I’m not a webbie but even I can see the value in being able to make changes and tweaks suggested by people and there’s a great piece on it here on the Cabinet Office digital blog. In an entirely different scale and in an entirely different corner of the digital allotment there was a public versus private issue in local government I stumbled across. 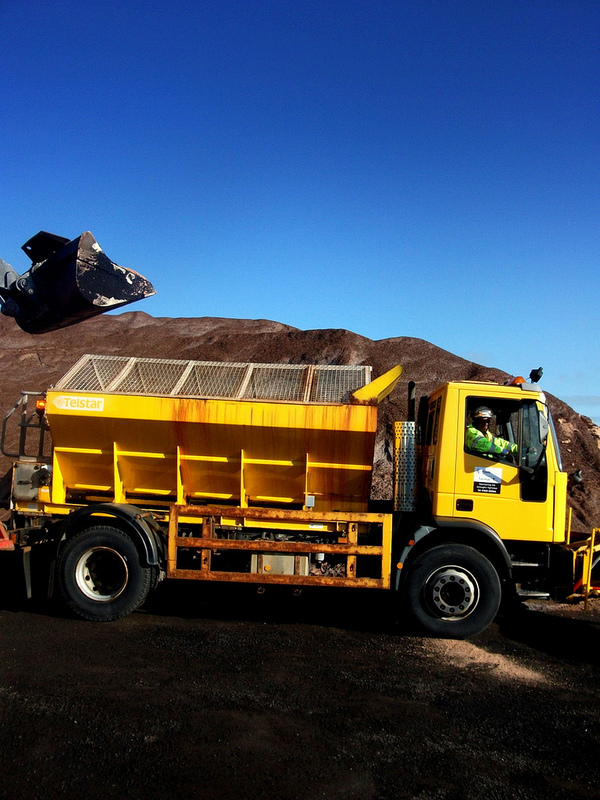 A private company is approaching councils offering to take over grit alerts. That’s an area I do know something about as Walsall Council, I’m proud to say, was amongst the pioneers of the Twitter Gritter model along with places like Derbyshire County Council and Kirklees Council. 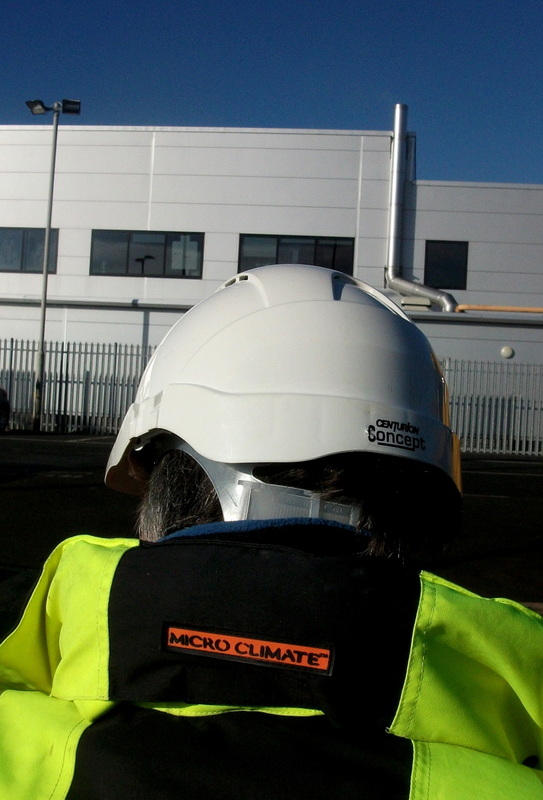 Our engineers looked at us a bit funny at first, heard us out, trialled it and now are big advocates for it. It’s cost us £0 in three years but we’ve connected scores of times with people. It’s real time alerts keeping people up to speed on what their council is doing to treat the roads. If we go out at 2am to treat the roads and only two shift workers and a drunk see what we’re doing isn’t it a good idea to tell people? It’s also talking back to answer questions and pass on serious problems like a burst water main that’s turning to sheet ice. I’m not against the idea of the private sector. Far from it. I’ve spent a big chunk of my career there and there are plenty of freelancers and organisations whose time would enrich the organisations they help. You’ll know them by the track record they have. Others in the private sector? They’re poor bandwagon jumpers, to be fair. What I see in the public sector with events like UK Govcamp, Localgovcamp and other events are people willing to share and develop ideas to make the world a better place. That simply wouldn’t and isn’t happening in so much of the private sector. What does the private sector Twitter Gritter look like? You can read the text I’ve posted to a Google Doc here. I’ve taken out the name of the company to spare their blushes. Nothing against people looking to make a profit out of something, per se. But when someone you don’t know asks you to hand over the keys to your Twitter account so they can do a poorer job and charge you for it then forgive me for being underwhelmed. I’m tempted to just leave it to Mike Rawlins’s 140 character reaction. @danslee is this serious? Has someone actually proposed this to you? But here are FOUR cut and pastable reasons and can be shared with gritting engineers to help them avoid making the wrong decision. 1. If it means handing over access then don’t. You wouldn’t do that with your email. Don’t do it here either. 2. If it’s broadcasting then don’t. The social web works best when it’s two way. People can ask questions and report problems. Run simply and sensibly that’s possible. Talk to your council’s social media person. They’ll tell you. Don’t if it doesn’t. 3. If it’s not their area of expertise then don’t. It looks what it is. Something developed by people who don’t know how the social web works. You wouldn’t let non-engineers loose on an engineering project. Don’t do the same here. 4. If it costs when it can be done far, far better for free in house then don’t. So many other councils already do it. Look at what Birmingham City Council’s in-house freelancer Geoff Coleman has achieved on a budget of nil, for example. Good freelancers will always work with you to shape something. They’ll pass you the skills so you can flourish. If they don’t then don’t. 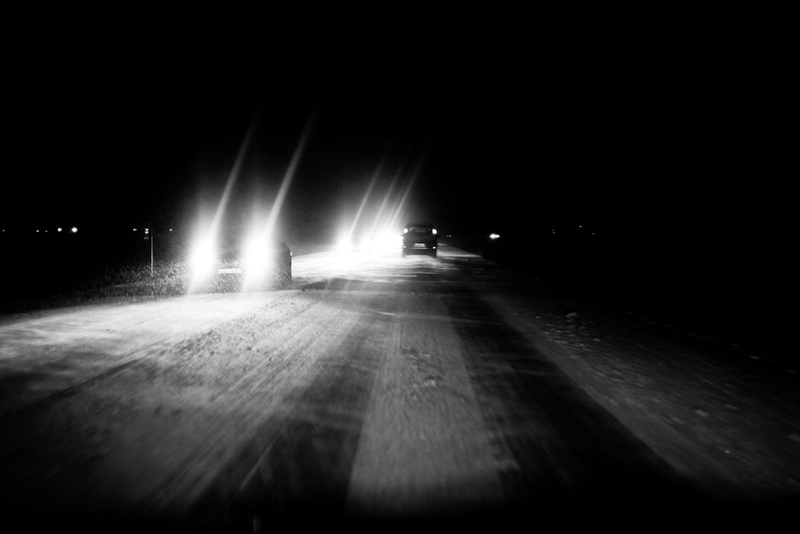 Every mile is two in winter, the Elizabethan poet George Herbert wisely said. True words then and true today and he never had to drive a Vauxhall Astra on the M6 in minus five degree weather. In local government its worth going the extra mile in wintry weather. Get things right in sub zero weather and you’re laughing. Get it wrong and you’re not. Just ask the Scottish transport minister who resigned after scathing criticism. For the past two weeks Walsall Council – the council I work for – has been using social media as a key way to keep people updated on wintry weather. It’s not the first time. Last year, we were one of a small number to use social media. 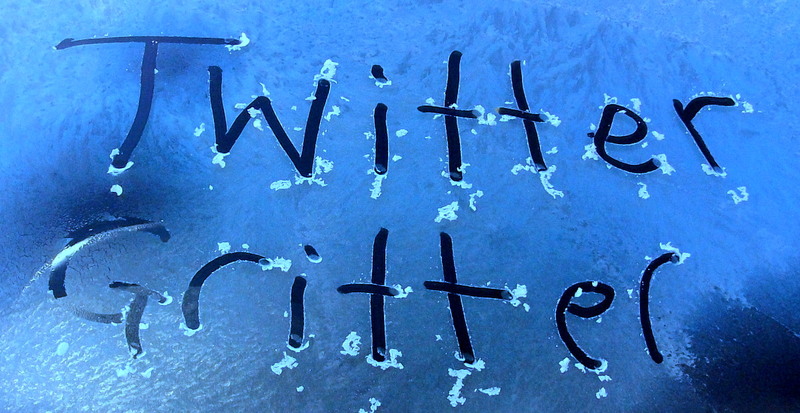 We used Twitter to flag up gritting and service disruption. This time, we expanded a touch. 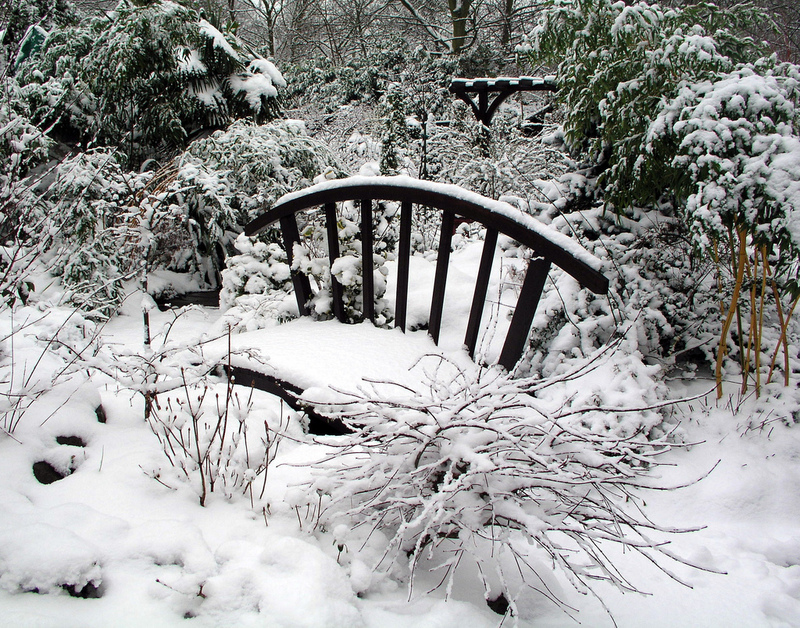 During the icy period of November 26 to December 11 2010 we used the council website, Twitter, Facebook and Flickr. Staff were primed to email the communications unit, members of the team by 8am every day as well as individuals. When the gritters went out the engineers e-mailed and even called to flag up what they were up to. With new digital channels taking all the attention you’d be forgiven for overlooking your website. Don’t. It’s where a lot of your content can go. We used one page on the website as a links directory to more than half a dozen potential service areas so people didn’t have to search around the website. It’s where most people will go first. 261 tweets at almost 19 a day. 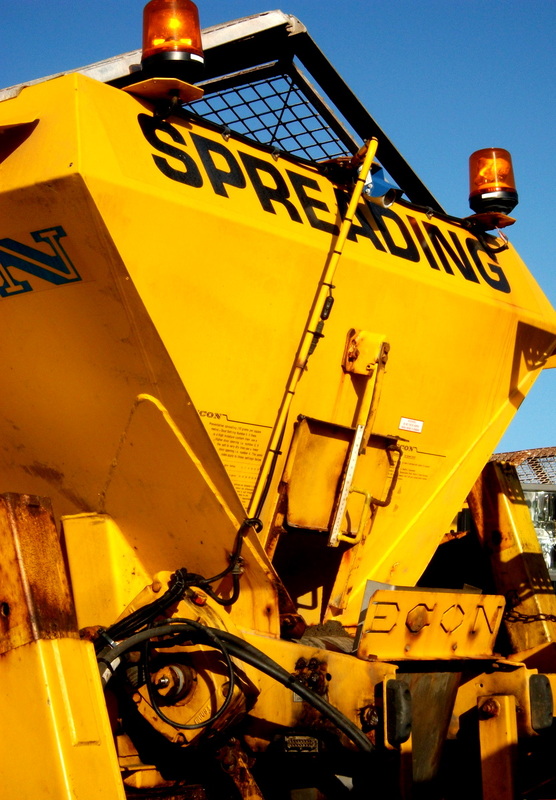 Content: Updates on gritting, school closures, service disruption. Links to council gritting pages, school closure page organised by education provider Serco. Links to winter shots taken by residents and posted on Twitpic and Flickr. Link to the @mappamercia grit map. Daily post views up 3,105 or 82 per cent. Each status update received between 159 and 783 page impressions. Content: Three to four updates a day with links to a general page. Stats: 6 pics posted on Flickr and 12 pics crowdsourced and retweeted on Twitter to provide content from residents themselves. Shots varied from the amateur twitpic to the almost professional here. A set of pics were posted of the gritters in action at a training event in late autumn designed to test out the routes. These were posted to Flickr but the best pics came from residents themselves. In the spirit of web 2.0 we posted links to good shots. One pic was crowdsourced for the council website header shot. Content: snowy scenes taken by residents as well as shots of gritters posted by the press office. It’s one of the great jobs of this winter to see a mapping project really take off in Walsall. The Mappa Mercia group are people I’ce blogged about previously. Last winter they drew-up a grit map on open street map for Birmingham. You can take a look here. They spotted the grit routes for Walsall and Solihull too and quietly added them. So, when winter came we were quite happy to link to their map. It shows residents spotting a need and doing it themselves. Get service areas to tell you what they are doing. Communicate to residents in good time. Monitor, respond and communicate every four hours. Have a rota to do this. Put the same message across different channels. But in the language of the platform. Don’t RSS it across everything. It won’t work. You can crowdsource good picture content. Have an idea what the frequently asked questions are and think about the answers before you are asked. Take a screen shot of the positive and negative comments from Facebook and Twitter. It gives the service areas an idea of what is being said if you email it to them. The positive stuff will go down very well and make them more supportive of what you are doing. You can reply to negative comments. But if people swear or are sarcastic think twice. You may not have a constructive conversation. Oh, the weather outside is frightful but the idea of doing cool things is always delightful. Last year, the idea of tweeting when your gritters was going out was revolutionary. Around half a dozen councils were leftfield enough to do it and the idea spread. Public sector web standards organisation SOCITM picked up on it making it mainstream with their report for subscribers. Can we stand still now? The fact is local government needs to innovate like never before. Someone famous once said when you innovate, you’ve got to be prepared for everyone telling you you’re nuts. 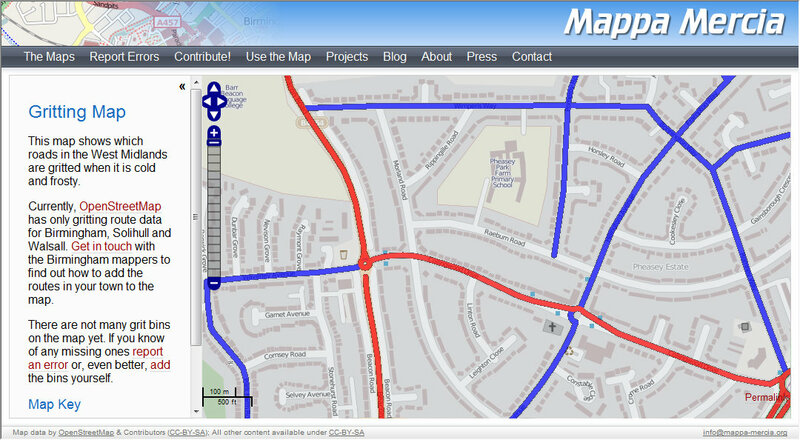 In the West Midlands, there’s some amazing innovation from mapping geeks. Bright people from Mappa Mercia including the excellent Andy Mabbett last year built a grit map on Open Street Map to show grit routes in Birmingham. They dug out the routes from pdfs on the council website. Now, they’re adding Solihull and Walsall too ready for the winter onslaught. Birmingham City Council have linked to it from their transport pages and we at Walsall Council are tweeting it when the weather gets bad. That’s a good example of working with a talented and community-minded online community. Disadvantage: You need mapping geeks to be grit geeks too. Everytime you go out you tweet the fact. If you’re not doing it you should. It’s not enough to provide a service at 2am. You need to tell people. Why? Because they won’t know your council tax is being spent in such a way and they may well ring your harrassed staff at a time when they are thinly stretched. It’s something I blogged about last year with a case study mapping more than 70 tweets. Advantage: Community engagement. Cuts down unneccesary contact. Disadvantage: You’ll need some kind of rota or it’ll all fall on one person’s shoulders. A short clip to explain what the gritting service is all about. Shot on a Flip video It’s a good way of communicating what is being done. Advantage: Creates blog-friendly web 2.0 video content. Disadvantage: You need a Flip video. The process isn’t instant. 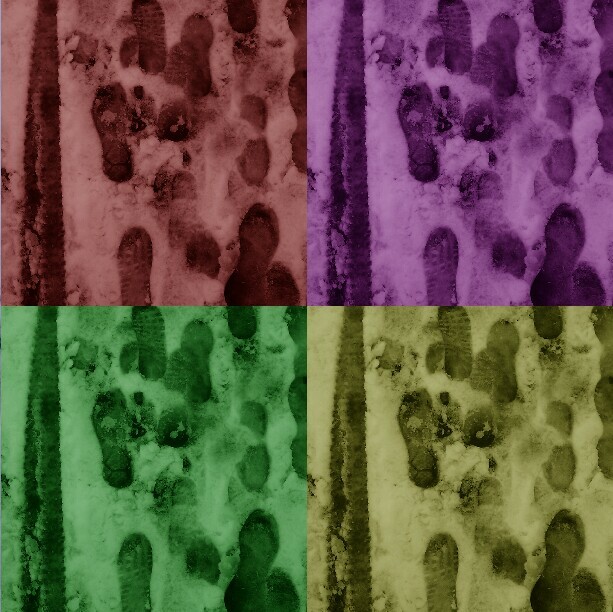 Publish grit routes as open data? Why not. But beware the perils of derived data that quicksand argument that means anything based on Ordnance Survey is mired in dispute. Disadvantages: It can’t be based on OS maps. As local government Facebook sites mature and grow there’s more reason to post grit updates there too. Drawbacks? Not all phones will allow you to post to fan pages and you may have to log on at a PC or a laptop. Advantage: You reach the massive Facebook demographic. Disadvantage: Your Facebook fanpage is harder to update than a profile. A trip around the borough in a gritter with a camera phone geo-tagging your tweets. It works as a one off and builds a direct connection. At Walsall, we tweeted the testing of the gritters in a dry-run for winter including geotagged shots from the cab itself as it trundled around the streets. Advantage: A service from a different perspective. Disadvantage: Labour and time intensive. Sometimes we can be so struck by new gadgets that we can forget the platforms your Dad and mother-in-law have. Simply speaking, there are more mobile phones in the UK than people. Many councils are charged around 8p a text to issue an SMS. That’s a cost that has to be picked up from somewhere. But using the standard costs per enquiry of around £7 face-to-face and £5 over the phone the 8p charge starts to look viable. Advantage: You can reach large numbers of people and cut down potentially on unavoidable contact. 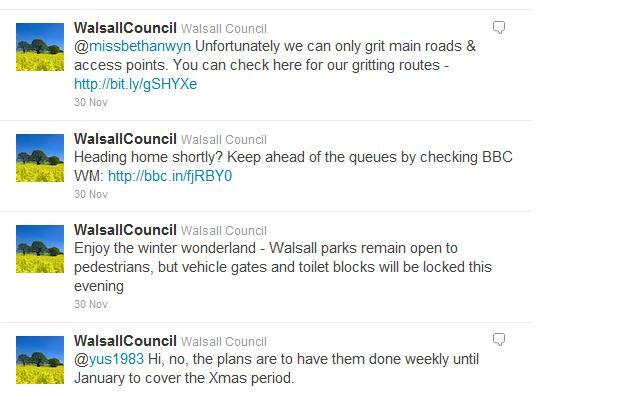 Not every council has the resources to tweet its gritting. In Cumbria, the community of Alsthom high in the dales regularly gets cut off in the snow. Fed-up with the council response the town clubbed together to buy their own gritter. Community and digital innovator John Popham floated the interesting idea of the community stepping in to tweet gritting activity. In effect, a Big Society Twitter Gritter It’s a fascinating idea, would share the burden and may fill the gap where a council doesn’t have the digital skills or the staff. Advantage: If there are residents willing it’s a good partnership potentially. Disadvantage: It’s dependent on volunteer power. What are they? Funny square things that your mobile phone can identify and can download some information about. I don’t pretend to fully understand them and I’m not sure if they’ve reached a tipping point in society just yet. However, Sarah Lay of Derbyshire County Council is looking at adding QR codes to grit bins to allow people to report problems. It’s a fascinating idea that needs looking at. Advantages: Tech-savvy citizens can use them to pinpoint problems. Disadvantages: A format that is still finding traction amongst the rest of the population. What can you publish as open data? Wrack your brains and consult the winter service plan. There’s grit routes themselves. 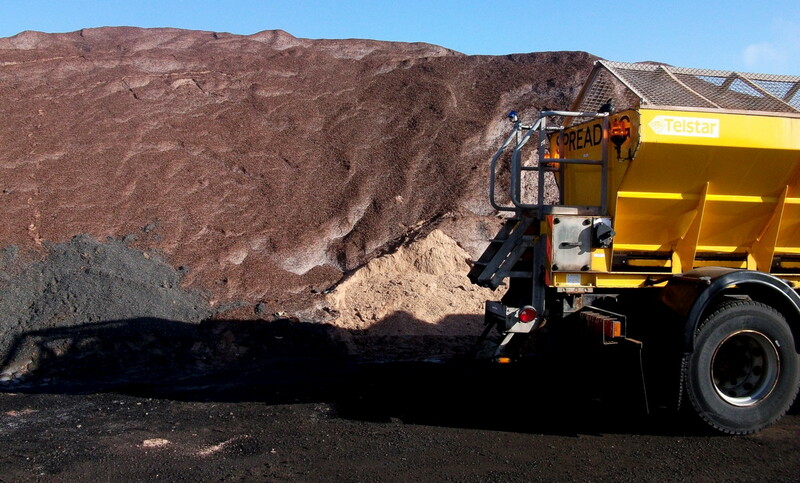 There’s the amount of grit stockpiled. There’s the amount of grit spread day-by-day. Advantage: Open data is good for transparency. Disadvantages: Day-by-day updating could be tricky as engineers are snowed under. If you’ll forgive the pun.